ShortScale :: View topic - Butterscotch Blonde? Posted: Mon Feb 29, 2016 4:12 pm Post subject: Butterscotch Blonde? I was visiting Guitar Center last week and was checking out Fender and Squier Tele's and was surprised to see that they were noted as Butterscotch Blonde. They looked nothing like the yellow colors that I've lusted for in the various catalogs. In the catalogs the color pops, but in person it was pale and hard to appreciate. I don't know if the color was affected by the store's lighting, but I was very disappointed with what I saw. I was expecting kinda tv yellow with a darker tint. Anyone else notice this with butterscotch blonde? I think when the AVRI was introduced years back it was too yellow for some people, so Fender has been trying to dial it back. Hmmmm. I'm gonna have to revisit GC in the next couple of weeks. Take some pics and see if it photographs differently. Those original '50s guitar's nitro clearcoats tinted fairly early on, and sometimes they'd been sun-faded before that, so "butterscotch blonde" is a bit of a moving target. Another telling sign of this is amber-tinted necks, which are part of the same story... they were white when I put 'em on! Similarly, Gibson actually used three different "TV finish" methods from '54 to '60 but nobody thinks twice about calling any given one of them "TV yellow" now, and Gibson's reissues look like old bananas. I always thought the Lite Ash Teles from awhile back were probably a good colour representation of what a '50s Tele might've originally looked like... the blonde Teles weren't natural (their grain peeks through light coats of solid paint by virtue of dark grain filler), but they were probably closer to that hue than a straight-up yellow (given what's happened both to them and to their same-but-whiter Mary Kaye sisters from the early '60s), and their necks were surely a lot more natural looking. 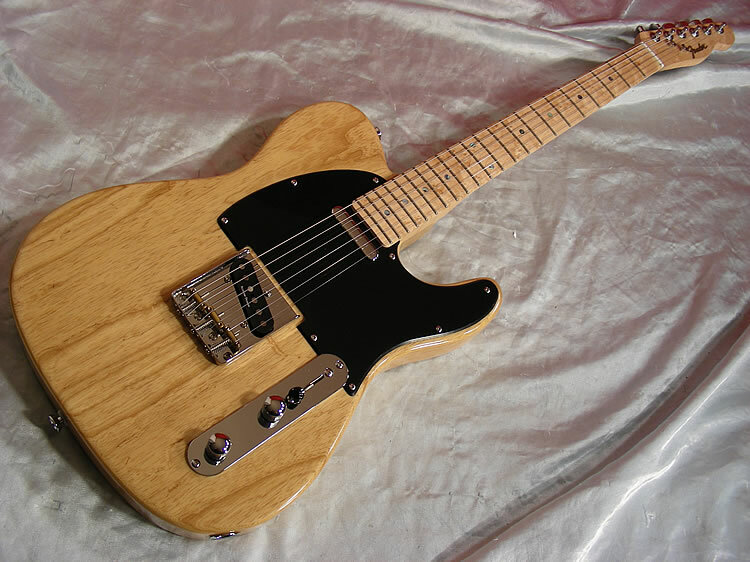 Those lite ash teles were a neat run of guitars. My main guitar for like 10 years has been a Lite Ash tele.